With Christmas around the corner, we offer reviews of three children’s books for Christmas. Some new old, some old – these are sure to be favorites. Check them out for your own household, or as a gift for a child in your life. This book is a stunning retelling of the birth of Christ, which is notable for its simple scriptural text from the King James Version of the Gospel of Luke paired with watercolor illustrations that celebrate the unembellished beauty of the Incarnation. There are no halos or gilt graphics- just a simple work-boot clad Angel Gabriel drinking tea at the kitchen table with Mary, who has just come in from hanging laundry on the line. 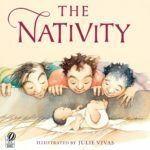 With its characters rendered in humble form, the book reveals the human side of the Nativity, reminding readers that God is with us in the ordinary circumstances of our lives. 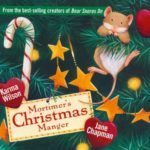 Brought to life by Chapman’s engaging illustrations, this is the story of a mouse named Mortimer who is searching for a new home more comfortable than his hole under the stairs. He stumbles upon what seems like a Christmas miracle among the decorations – a tiny manger just his size, if only he can find a new home for its current occupants. “There’s no room for you here,” Mortimer says again and again to the evicted statues until the family of the house gathers around the tree to tell the story of Christmas. This book brings the nativity home into our living rooms with a relatable character who discovers the real meaning of Christmas is making room for Jesus, and that Jesus always has room for us. A Christmas story told entirely through 96 finely detailed and deeply moving paintings. The artwork tells a modern parable of an old woman, who lives alone in a trailer and plays her accordion on the street. Falling on desperate times, she is forced to sell her beloved instrument, but a thief quickly takes her meager funds along with the poor box at the church. The woman apprehends the robber and returns the poor money to the church and sets the damaged crèche to rights before she, exhausted and hungry, collapses in the snow. The manger figures miraculously come to life, their bright robes casting light across the dark snowy landscape, and carry her home, working together to create a Christmas for her that she will never forget. 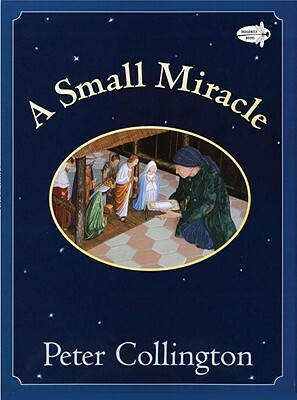 Children and adults alike will enjoy telling the story in their own words, expressing the theology of the season in the best possible way: the miracle of the Word come to life. Kate Siberine is a Virginia Seminary student from the Diocese of Chicago. She also is the graphic designer for the magazine Episcopal Teacher.